Gracefulness and romanticism find their ultimate expression in the Alassio sham. The charm of these buttercup flowers is often associated with a melancholic yet enchanting beauty. The petals are enlightened by the sun and the stem’s movement is sinuous and magnetic. 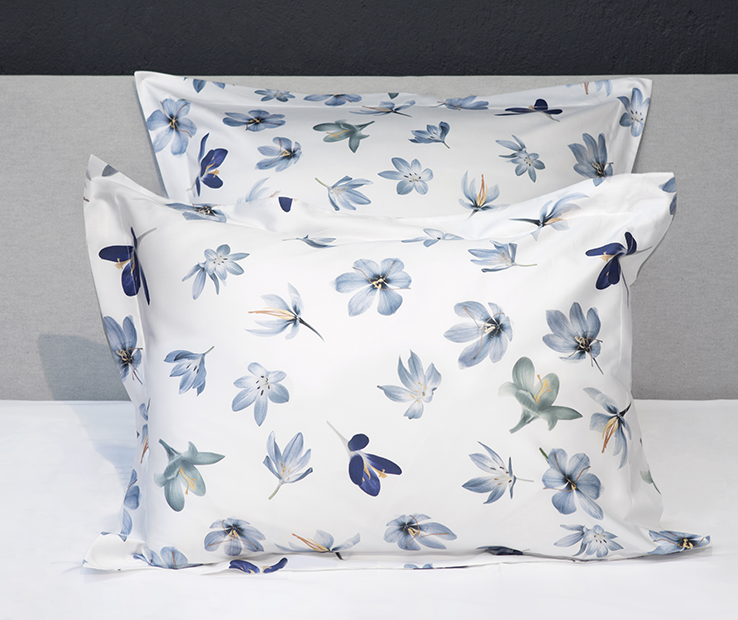 The traditional printing and the soft and bright cotton sateen make the flowers harmoniously dance on the fabric decorating in a unique way your bedroom. Available in Standard, Euro and King sizes , the Alassio sham has four flanges of 2 inches neatly finished with a simple hem. Made in Italy. 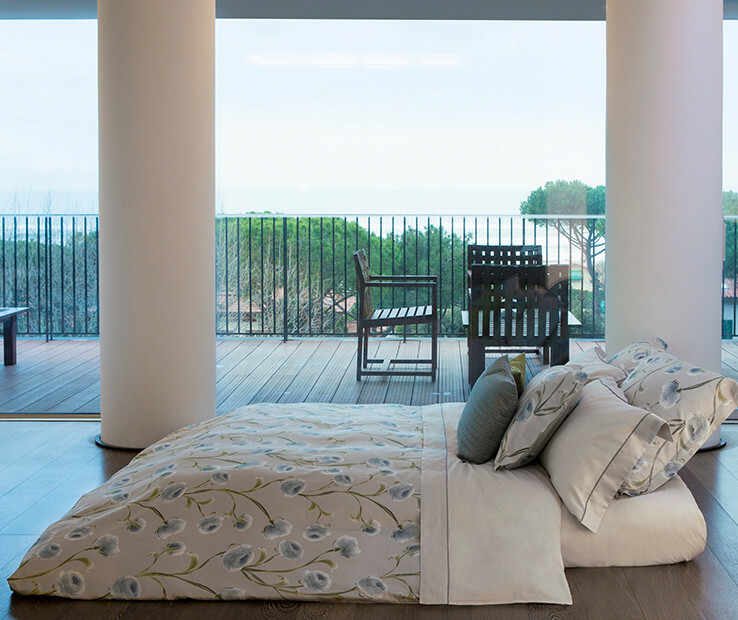 Gracefulness and romanticism find their ultimate expression in the Alassio duvet cover. 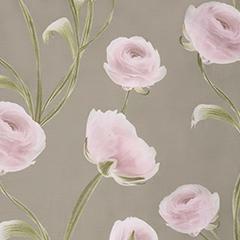 The charm of these buttercup flowers is often associated with a melancholic yet enchanting beauty. The petals are enlightened by the sun and the stem’s movement is sinuous and magnetic. 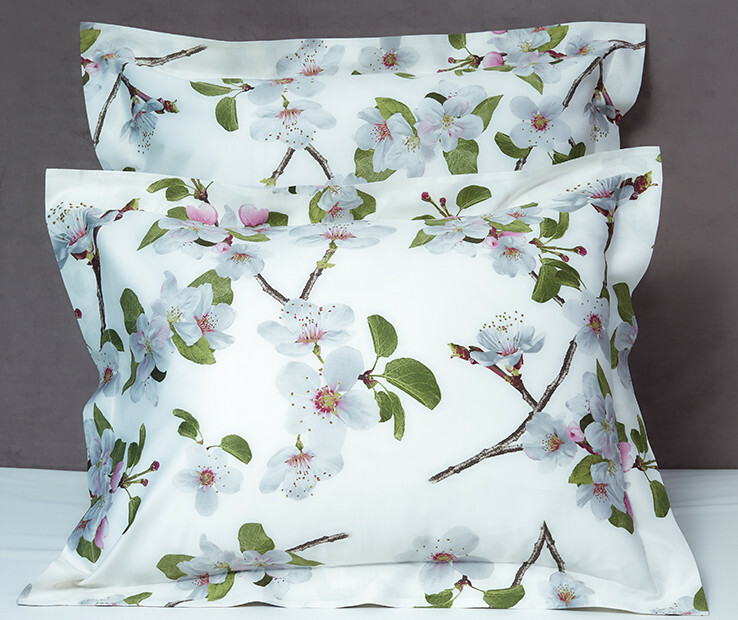 The traditional printing and the soft and bright cotton sateen make the flowers harmoniously dance on the fabric decorating in a unique way your bedroom. 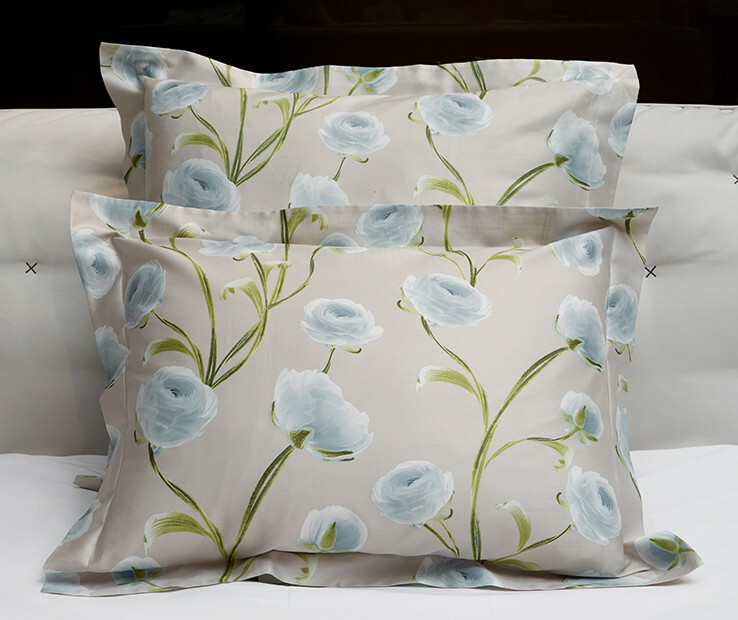 Available in Twin, Queen and King sizes, the Alassio duvet cover is backed with silky plain cotton sateen in coordinating color and is neatly finished with a simple hem; buttons closure. Made in Italy.